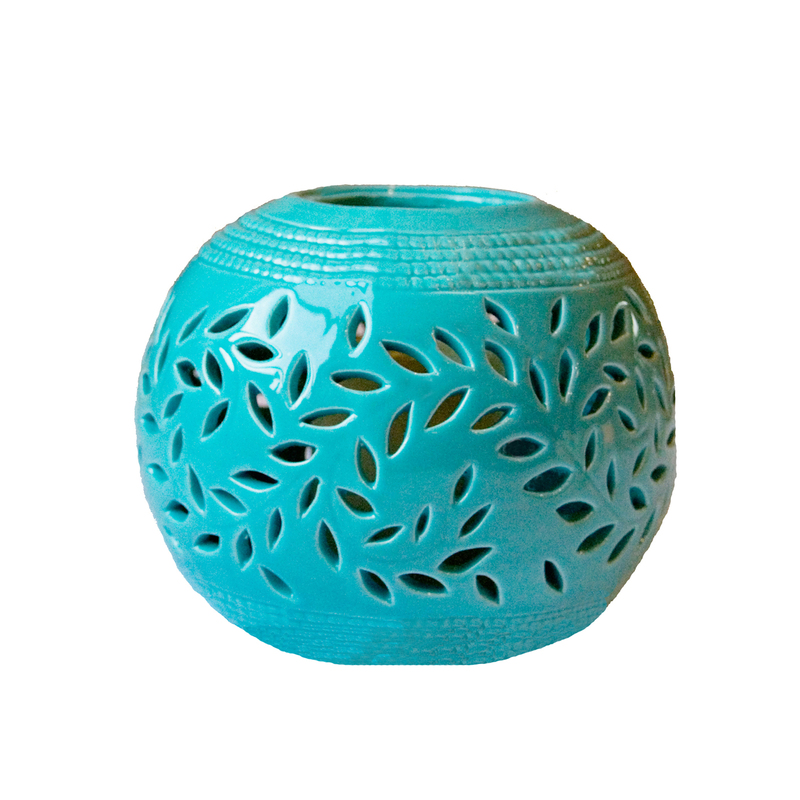 Brighten any environment, both indoors and out, with this elaborately designed ceramic lantern. 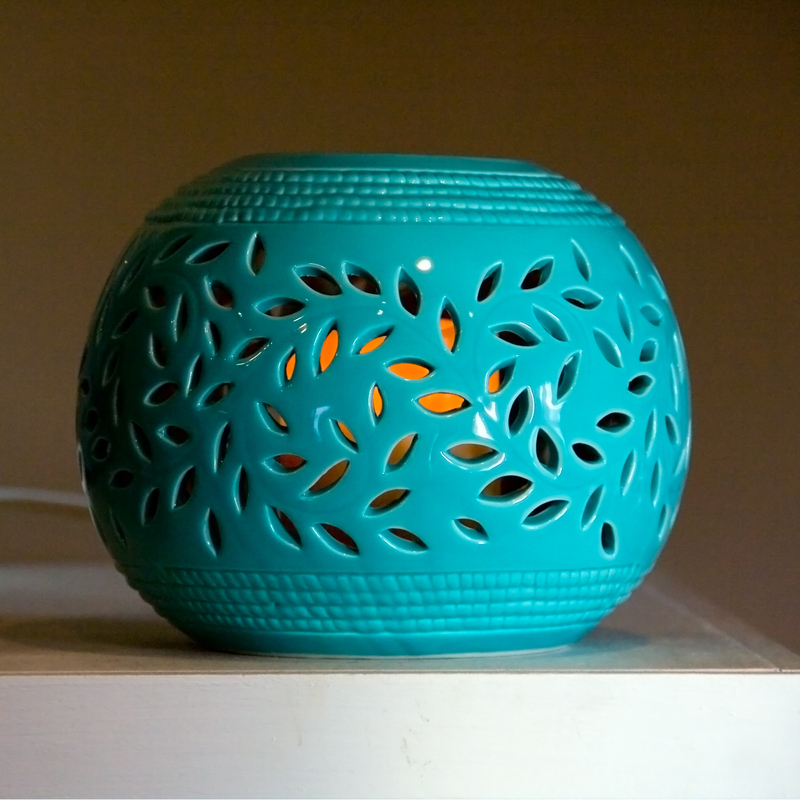 The Magnolia is decorated with an ornate pierced floral pattern and has a glossy aquamarine finish. 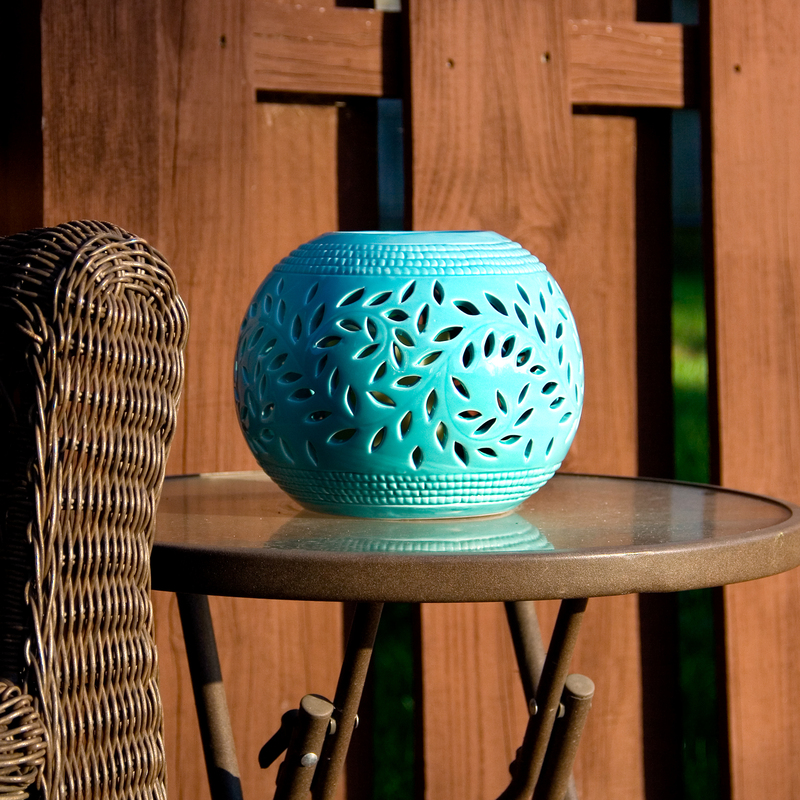 The weather resistant lantern includes a 3” x 3 ¾” ivory battery powered LED candle. Drip less, smokeless, pet & child-safe, our waterproof candles have a convenient 4 or 8 hour daily timer. 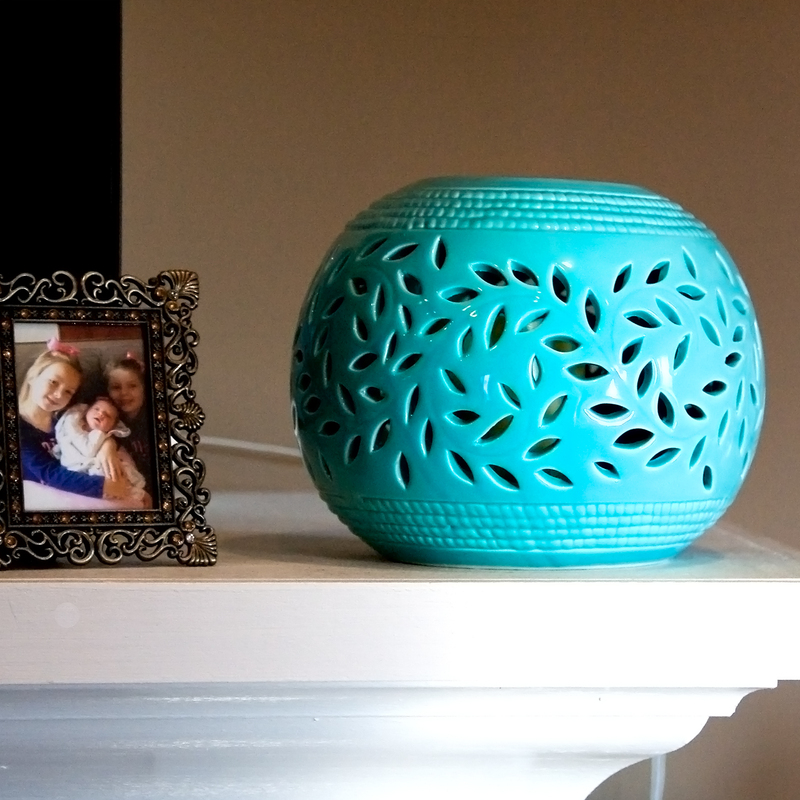 Each spherical lantern is made from ceramic and measures an approximate 6 ¾” x 7 ¼”. Requires 2 C size batteries. (Not Included).